Content strategy is a beast with many heads, names and trajectories. To approach it is to be sucked in full force. Even so, as crucial as content strategy is, conveying its gravity to a big audience, or to key administrators, is often hard. Being so inherently complex, it’s often easiest to tackle by example. My first job as a Web content writer involved creating a campaign that promoted holiday spending and travel. I came up with clever tag lines that incorporated lyrics from Bing Crosby Christmas jingles. I thought I was doing great work, and when I got an email from my boss to discuss the campaign, I assumed I would get a pat on the back. 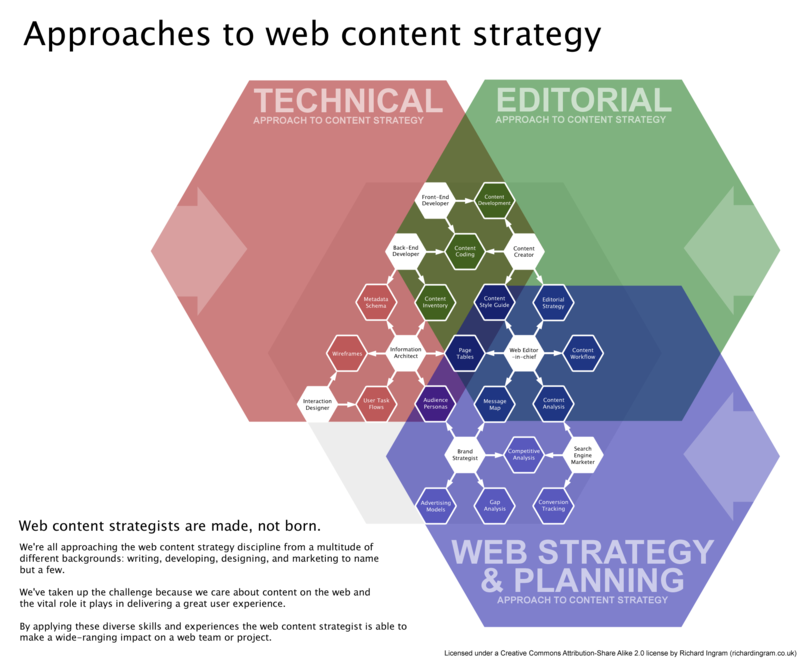 Approaches to Content Strategy by Richard Ingram.